The “One Happy Island” is more than a place; it’s an ideal. Adventure meets serenity on this island of contradictions – where the sun-kissed, sandy shores of the pristine world-famous beaches intersect with the rugged northern coastline and where Dutch influence meets North American ease. Home to one of the “Top 10 Beaches in the World,” Aruba is one of the most revisited destinations in the Caribbean, with more than half of all visitors returning year after year for its constant sunshine, 82-degree temperature, refreshing trade winds, diverse activities and culture, historical attractions, flavorful cuisine and breathtaking beaches. 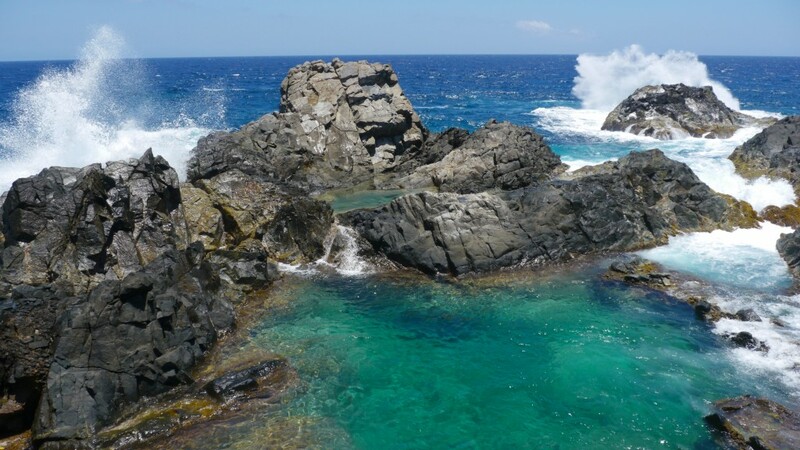 Nestled at the base of the northern shore cliffs within Arikok National Park is the natural pool of Conchi, one of Aruba’s most exclusive experiences and hidden gems – accessible only by off-road vehicle, bicycle, or horseback. For those who want to indulge beyond the scenery, the calm and clear waters of the Caribbean pool are perfect for swimming and snorkeling. The rugged and wild journey to Conchi rewards travelers with breathtaking views accompanied by excitement of crashing waves created by the shell-shaped pool. 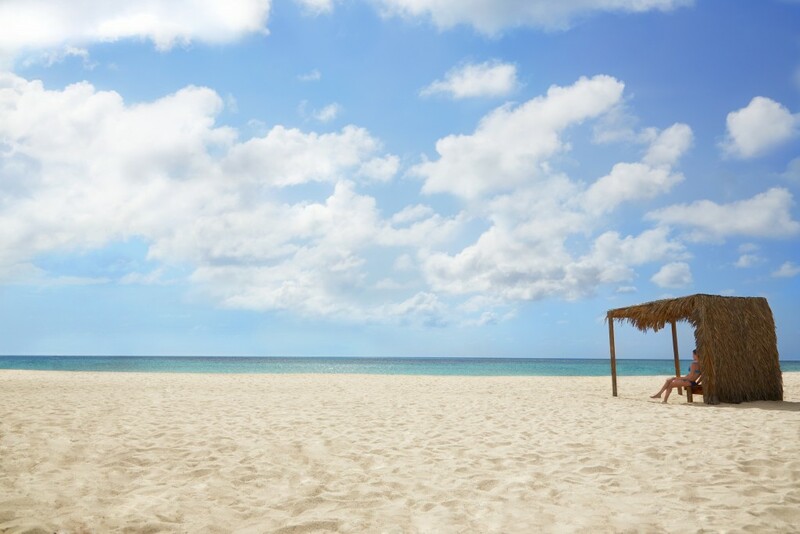 Related: Get Happy in Aruba! 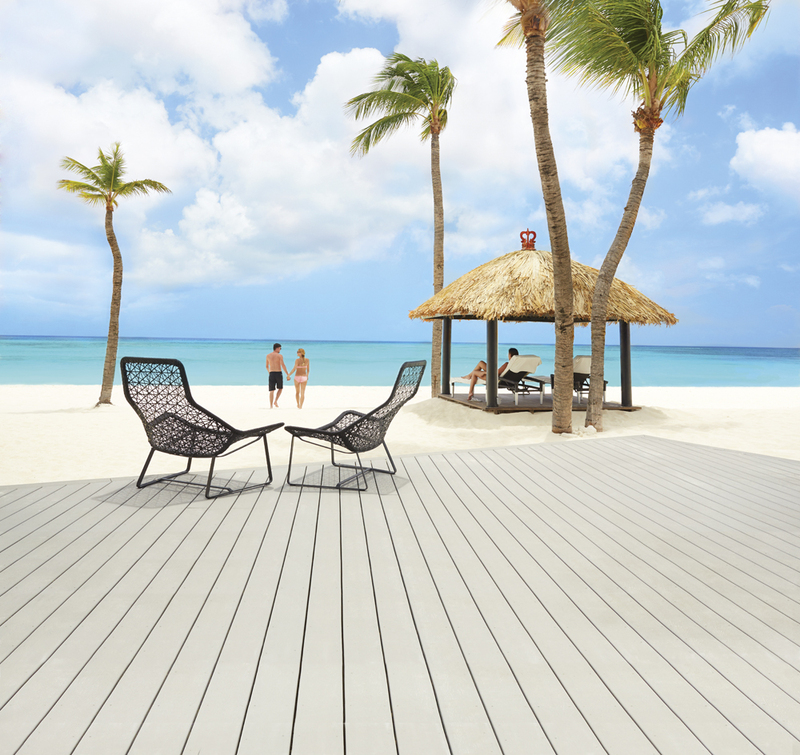 Aruba offers 25+ toes-in-the-sand and floating dock dining experiences for visitors to enjoy. 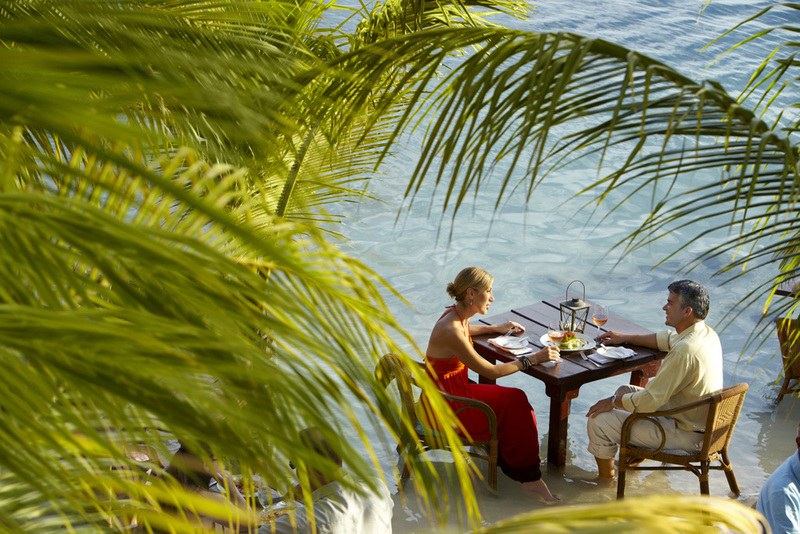 Guests who love seafood or simply the sea make it a mission to spend their entire vacation eating only at restaurants on the water. Boasting more than 90 nationalities and cultural influences, the One Happy Island is at the epicenter of a cultural and culinary melting pot and offers an array of dining options ranging from the casual dockside baskets at Zeerovers to the sophistication and ambiance of Flying Fishbone. Tucked away along the western coast in the Pos Chikito district near the Spanish Lagoon, Mangel Halto is beloved for its beauty and seclusion. Locals retreat to this secret spot to “drift” on the water during a stand-up paddle board excursion or snorkeling adventure, or “drift” off to sleep under the mangrove trees after a relaxing afternoon picnic. Beach-goers should bring their own towels, food and equipment unless they’ve signed up for an activity through a tour operator. 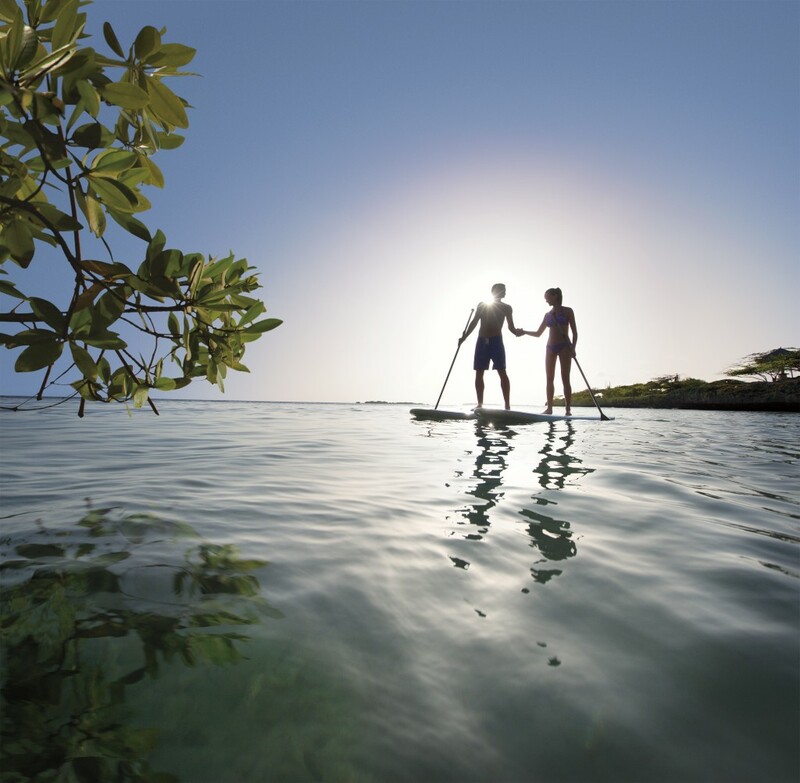 Visitors can preview and pre-plan their perfect getaway using the new Aruba Happiness Builder, a content-rich, interactive planning experience featuring over 100 vibrant video clips of all the amazing things to explore on Aruba – featuring clips of adventure, relaxation, romance and cultural activities. Users can customize and share their very own “Shortcut to Happiness” video with friends and loved ones on any device at aruba.com/shortcuts.